Organization is key – Organize the different parts of your life, at home + in the office. Having a place for everything is the best way to keep your life from feeling overwhelming. Clear out the clutter – If you don’t need it, don’t keep it. Clutter is your enemy! Keeping your desk or bedside tables from accumulating items will help your space look clean + open. 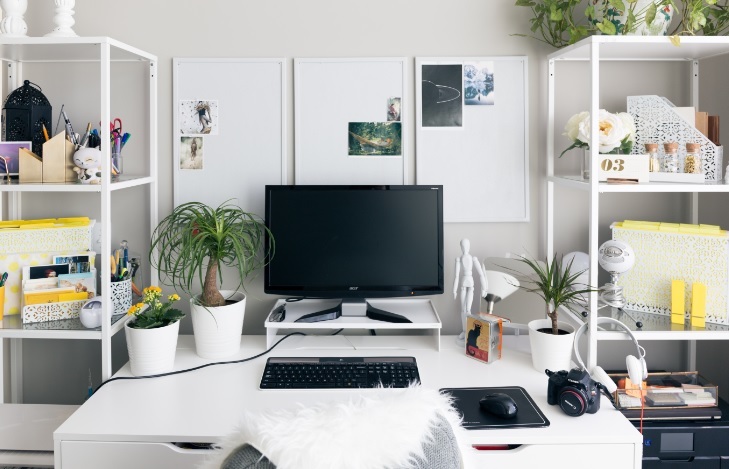 Out with the old, in with the new – Once you’ve organized and thrown out the unnecessary, treat yourself to something new, whether it be organization tools or that new desk décor you’ve been eyeing. Give yourself time for relaxation – Never forget about self-love – a stressed mind is not a happy one. So, take some time for a day of relaxation.